We often think of energy--artistic, musical, creative energy--as flowing out of people and into the world. The means of conduction are usually tools: instruments, paintbrushes, or the body. Yet maybe it's the other way around: maybe energy flows freely into creators, not out of them. Nikola Tesla's ideas of Free Energy envisioned the entire world's electricity as a useable force, ready to be soaked up and harnessed by people with the right attitude and the right tools. 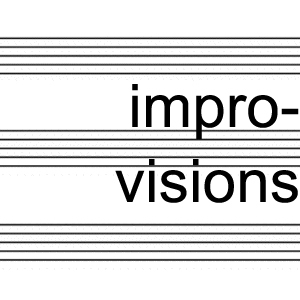 This show focuses on musicians who harness the energy of the world to use it for wild, ecstatic, electrifying improvisation-- both by themselves and with others. With tracks by John Fahey, John Zorn, Anthony Braxton, Sun Ra, Yamashita Yosuke Trio, Talibam!, and Otomo Yoshihide's New Jazz Quintet.